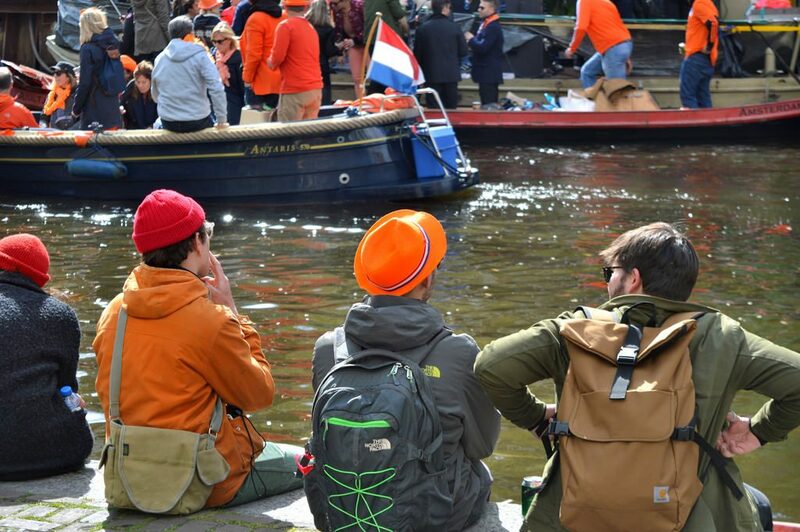 Once every year, Amsterdam transforms into the biggest orange-themed party capital you’ve ever seen. In fact, it’s not just Amsterdam. King’s Day (Koningsdag in Dutch) is a nation-wide event that celebrates the birthday of the country’s reigning monarch. Currently, that person is King Willem-Alexander, who turned 50 years old today. This year, I decided to lose myself in the crowds and snap some photos of the cheerful activities and crazy festivities! Did you know that the very first King’s Day was actually called Queen’s Day? The initial royal celebrations can be traced back to August 31 1885, when Princess Wilhelmina turned 5 years old. She was the heir to the throne, so the first celebration was Princess’s Day. The national holiday transformed into Queen’s Day when Wilhelmina became Queen of the Netherlands in 1890. Wilhelmina’s daughter Juliana continued the tradition in 1949 and Queen’s Day was moved to April 30. Juliana’s daughter Beatrix did the same, but kept April 30 as the date (her own birthday is in January, a bit too cold for outdoor festivities). 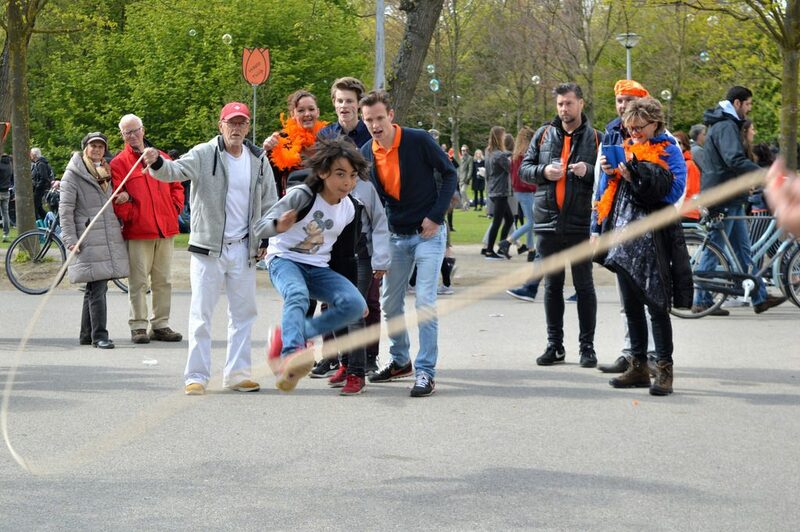 Finally, Willem-Alexander ascended to the throne and Queen’s Day became King’s Day, now celebrated on April 27. On the day of the festivities, the King and Queen make a visit to one or two chosen towns every year. Why is everyone dressed in orange? The most popular activity during King’s Day is the vrijmarkt (free market). There will literally be street markets in every village, town, and city in the Netherlands. It is the one day in the year where nobody needs a permit to sell their superfluous stuff. In big cities, many people will get up early in the morning to claim the best selling spots in town. As a young Dutch kid, I also grew up selling my old toys and clothes at the park. 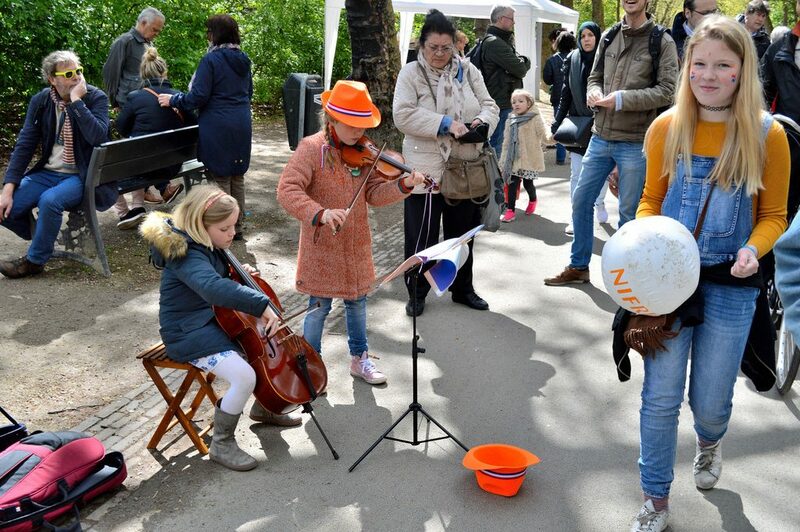 In Amsterdam, you will find King’s Day markets in almost every neighborhood. 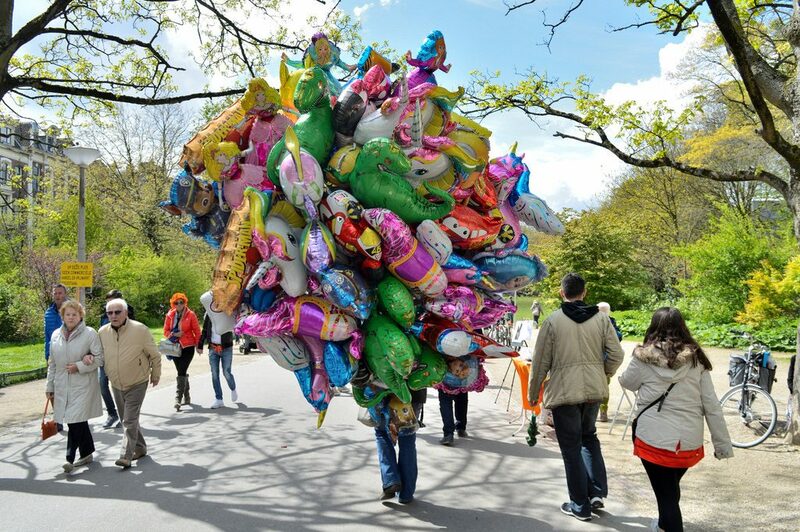 The most famous spot is undoubtedly Vondelpark, the city centre’s largest public park. Most of the vendors and performers there will be kids, since the park is a designated market area for children. 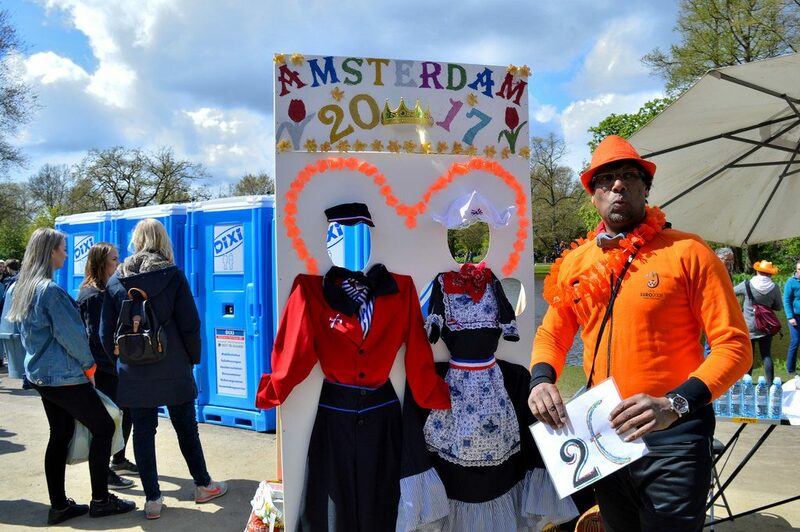 Besides the many street markets, King’s Day is basically the biggest annual party in the Netherlands. Especially the centre of Amsterdam (Amsterdam Centrum) will be overflowing with dancing urbanites and plenty of beer. The streets and canals within the Canal Belt (Grachtengordel) are always insanely crowded with both locals and tourists. It’s an incredible sight that will definitely put a smile on your face, although it might be a little too much if you tend to feel claustrophobic. This year was another great King’s Day edition. Even the rain made way for the sun to come out and play in the afternoon. I’m glad I decided to go out and take a few photos. I had been planning to do so ever since I moved to Amsterdam. Let’s hope King’s Day 2018 will be just as “gezellig” as today!